The traditional workplace is beginning to take a backseat as remote working becomes more and more popular among employers. Today’s tech allows us to stay connected around the clock and just about anywhere. So, is remote working the future for productivity? Many employers previously had concerns about the lack of productivity of their staff when working from home and quite rightly so. However, a large majority of remote working employees report that they face more distractions when working in the traditional office environment than they would at home. By removing factors such as a stressful commute or menial office duties, a higher morale can be achieved and in turn, increase productivity. From an employer’s point of view, there are, however, a few things that must be taken into consideration when hiring for a remote working role. 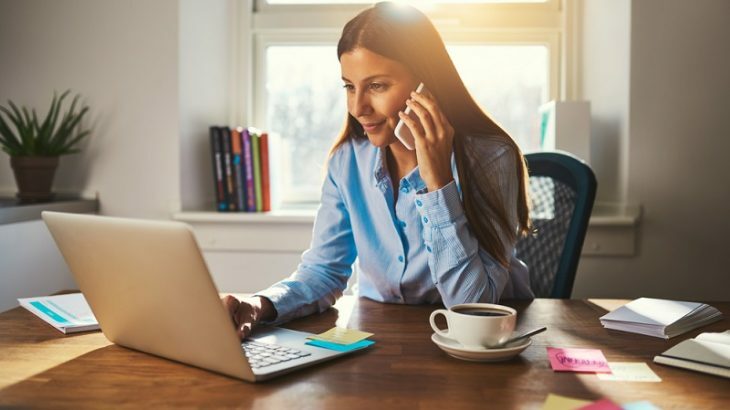 VIPersonnel wants to help employers recruit effectively for these remote vacancies, which is why we have put together some key tips on recruiting for remote workers. Points we have covered include; the key skills you should be looking for, how you should assess their abilities and what questions you should asking in your interviews. What are the main qualities to look out for in a remote worker? Must have a pro-active approach to work and generally self-motivated. They should have a proven track record in remote working. Problem solving – this is a skill every home worker will need at some stage. Excellent communication skills – Being isolated away from every other employee and of course other external contacts, keeping everyone in the loop in key. They must be equipped to work from home effectively – Do they have an office? Laptop/ computer? Sufficient phone and signal etc.? A well organised person is essential for remote working. They need to be able to keep on top of their work load and know how to prioritise in order to meet deadlines. Gauge an idea – You can assess a candidates writing ability through email exchanges, text-based chats and writing exercises. Communication can be judged based on the interview or phone calls made. Face-to-face interviews – If the applicant isn’t able to attend an in person interview due to their location, you can still hold a face to face interview with the use of Skype or similar apps. You are then able to assess body language, facial expressions, etc. Propose a probationary or trial period – Like any other new starter, implementing a trial or probation period is a great wat to see how they work and adapt to a remote role. This can be anything from a week to 6 months long, depending on what you feel is required. What remote working experience do you have? You want them to understand the pros and cons of working remotely. What tools have you used to manage remote projects? It’s important they know how to use file sharing, communication tools, etc. From this you can learn how they plan on fulfilling their responsibilities and deadlines. Depending on their answers, you should be able to decide if they are able to manage their time wisely. How to manage a remote worker?